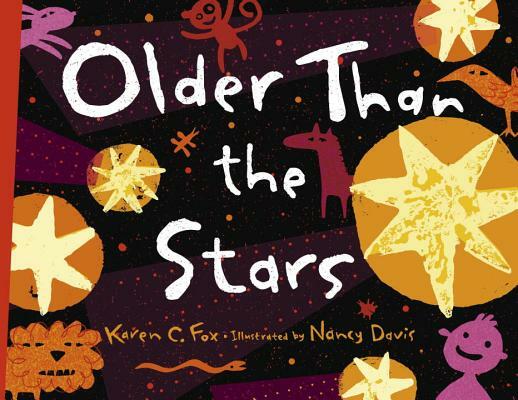 This lively and vibrant picture book offers an introduction to the science between The Big Bang theory and other cosmology that explains the beginning of the universe. In a way, we are all as old as the stars and the universe itself. In fact, every bit of every one of us was created billions of years ago from the same stuff as stars. Stunningly bright illustrations and simple verse tell the story of the cosmic connections that tie human beings to the beginning of the universe. Simple, informative prose provides additional facts. Karen C. Fox is a science writer for newspapers, magazines, radio, and the internet. She is also the author of THE BIG BANG THEORY: WHAT IT IS, WHERE IT CAME FROM, AND HOW IT WORKS and THE CHAIN REACTION: PIONEERS OF NUCLEAR SCIENCE. Karen lives in Washington, DC.